What is a contact's preferred name used for? You have the option to add a preferred name for you clients. This is particuarly useful in your client task emails. When you create a new person contact, you have the option to add a preferred name. The preferred name can also be added or edited in the person's basic details. 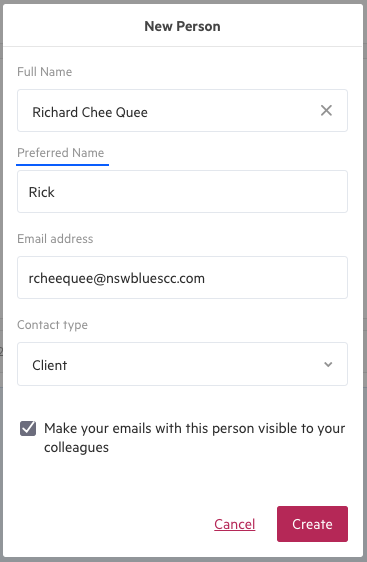 As well as keeping record of what your client's prefer to be called, this field is a useful way to personalize your automatic client task emails. Default client task emails and reminder emails will include a placeholder for the client's preferred name. If the client does not have a preferred name specified, their full name will be used instead.